Tim Yeo, the chairman of the energy select committee says the upcoming investigation should be extended to cover the gas sector as well. 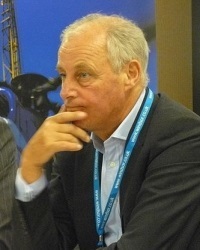 Tim Yeo says the ongoing energy competition probe is pointless unless it also covers the gas market. The Competition & Markets Authority is currently investigating into possible tacit co-ordination between the big six energy suppliers in relation to their price changes. The last 3 years have seen all of the major suppliers raise prices before winter by roughly the same amount, prompting claims the market is essentially a fix. Ofgem, the industry regulator, called for the inquiry in March. The CMA has stated that it is only looking into the electricity market, but that seems illogical as all of the big six also offer gas and dual fuel deals, and the price increases have usually affected both products. Mr Yeo’s neutrality on energy matters has often been in question. He is known to have made over £400,000 from interests in renewable energy over the last four years.